Trump’s scattershot comments in recent days paint a picture of a president who constantly feels underappreciated and under siege as he obsesses over his reelection bid. President Donald Trump aired a litany of grievances on Tuesday, claiming he has a “stacked deck” against him in 2020, putting down his top aide’s husband as a “total loser” and renewing his attacks on the Sen. John McCain. “I was never a fan of John McCain and I never will be,” the president said less than seven months after the the longtime senator and onetime prisoner of war died. Taken together, Trump’s scattershot comments paint a picture of a president who feels under-appreciated and under siege as he obsesses over his upcoming reelection bid. 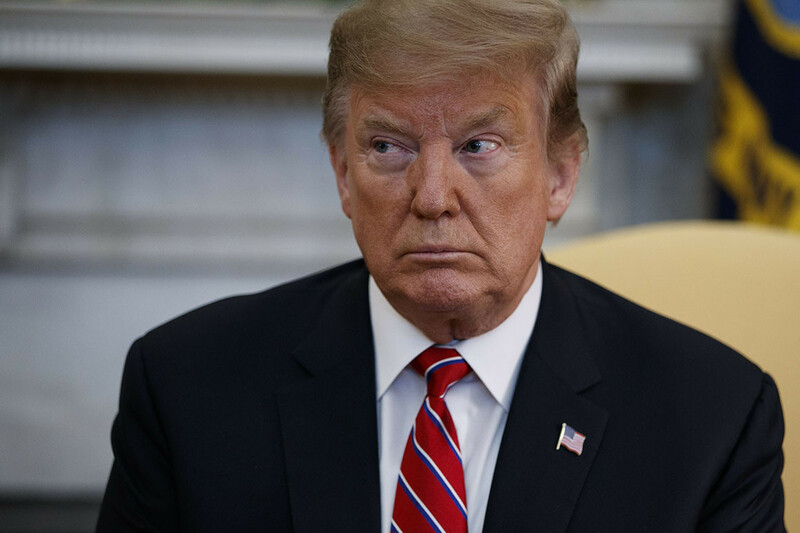 Trump’s outbursts come after he faced an embarrassing rebuke last week, when 12 Republican senators voted against his declaration of a national emergency at the southern border, prompting his first veto. It was a continuation of an airing of complaints that stretched through the weekend and into Monday afternoon, when the president expressed frustration that he wasn’t getting enough attention for donating his salary to federal agencies, even as he insisted he didn’t want any credit. Trump took a break from Twitter on Tuesday to meet with Brazilian President Jair Bolsonaro, who has been dubbed the “Trump of the tropics.” And Trump seemed to bask in Bolsonaro’s adoration after weathering more than two years of scorn from other heads of state. “I’m very proud to hear the president use the term fake news,” Trump said of Bolsonaro at one point. But even as he touted the close relationship between the United States and Brazil, Trump was eager to talk about the many other issues on his mind. Asked about McCain, Trump launched into a lengthy recounting of the senator’s decision to vote against repealing Obamacare. At a news conference with Bolsonaro, Trump also weighed in on what he sees as tech companies’ bias against conservatives. “It seems to be if they are conservative, if they are Republicans, in a certain group, there is discrimination,” Trump said. “We use the word collusion loosely all the time and I will tell you there is collusion with respect to [social media companies], because something has to be going on,” Trump said. It’s a “stacked deck” against him, the president complained, when it comes to social media and television news. “LOL,” Conway responded on Twitter before elaborating in a Washington Post interview.